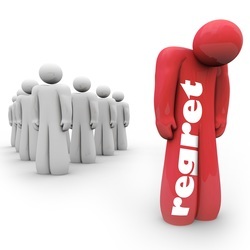 ELUL: WHAT DO YOU REGRET? Sometimes but not always, college commencement speeches can really hit home but at other times they fall flat. Their messages may even be inspiring but short-lived, they may be filled with humor and advice for achieving success in our increasingly competitive world rather than insights into how to lead a well-lived life but every so often they just may convey simple but wise, unforgettable eternal truths, the kind that resonate because in their simplicity they are also personally profound. In 2013, George Saunders, the American author, then 42 years old, delivered the convocation speech at Syracuse University. He asked one simple question to members of the graduating class: Looking back, what do you regret? And in answering the question for himself, he rattled off a bunch of personal experiences he could easily have regretted like being poor from time to time, working terrible jobs, skinny dipping in a polluted river with his mouth open causing him to be deathly ill for 7 months and playing hockey and scoring on his own goalie while trying to impress a girl he liked. No, none of those experiences were regrettable to him. So, what was? He recalled in 7th grade something that might pass any notice at all-- not being kind enough to a new student in his class. She was new to the neighborhood and new to his school. He was kinder to her than many other kids who teased her but in looking back he felt he had not been kind enough. And then one day, she and her family moved. He never saw her again, but still his failure of magnanimous kindness haunted him and that’s what he said he regretted most in his life, his failures of kindness. Those moments, he said, when another human being was there, in front of me, suffering, and I responded…sensibly. Reservedly. Mildly. He noticed that as he matured, as he accrued life experiences, he learned to be kinder; it was just something that happened with aging, with being knocked down, receiving compassion from others, losing close friends and relatives and understanding that none of us want to live solitary lives. He decided that as we age most people become less selfish and more loving. He was touched by what Hayden Carruth, the poet, once said in a poem written at the end of his life, that he was mostly Love now. Mr. Saunders concluded his speech wishing that the members of Syracuse’s graduating class would similarly find themselves growing in love as they age while diminishing their centric focus on themselves and suggested that they accelerate the process of becoming kinder, speed it up. Regret is difficult. Kurt Vonnegut once described it: Of all the words of mice and men, the saddest are ‘It might have been.’ The “might have been’s” of our lives can haunt us. What do we wish we could “do over?” Why have we behaved in the ways we have? If we could just accelerate our understanding of kindness, shrink our self-centered ways, perhaps Mr. Saunders reasoned, we might look back with fewer regrets. 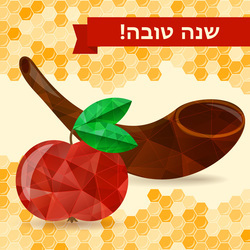 Fortunately for us, our High Holy Days come around every year to help us do just that. Our tradition is a realistic barometer of the human condition. We all know we can be better, be kinder. 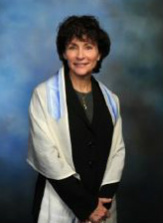 Observance of the Commandments, the Mitzvot, is simply not all of Judaism. It is, after all, regrettably possible to be observant and not be so kind. Rashi, the great Biblical commentator, suggests the Commandments only lay down a minimum threshold which is why God adds these words directly following the need to perform Mitzvot: And you shall do what is right and good in the sight of the Lord (Deuteronomy 6:18). Acts of kindness do not only inure to the benefit of the recipients; they add to our lives immeasurably. The month of Elul is upon us. This is a time of deep introspection. Use these days wisely, reflect upon your regrets. Think of ways you might become kinder and more loving. There is always room for improvement. And, as George Saunders concluded, Hurry up. Speed it along. Start right now. After all, what are we waiting for? May your New Year be filled with many acts of kindness and much love.